After becoming the subject of several local news stories, Tech’s administration decided to allow eight students from the Excel program to walk at this year’s commencement ceremony. While they were also doubtlessly influenced by internal forces — 8,500 people signed a petition in favor of the decision — addressing issues only in the face of external pressure has become something of a trend for Tech’s administration. The Institute’s Path Forward initiative exemplifies this PR-focused approach to campus problems. An extremely outward-facing plan to curb a harmful campus culture, the initiative has so far given students little more than press releases and assurance that ‘Action Teams’ are hard at work. The website claims that it “unites students, staff and faculty voices,” but only two students are currently involved in the initiative. No meeting minutes are kept, so “progress” can’t be reasonably tracked. A Path Forward’s true purpose is painfully clear: making it appear that Tech cares. When it became apparent that senior Tech executive Steve Swant had a flagrant conflict of interest — Swant was on the board of a software company that conveniently received several lucrative contracts with the Institute — Peterson and the administration barred him from accepting payment from the company, and an internal investigation cleared Swant of any wrongdoing. 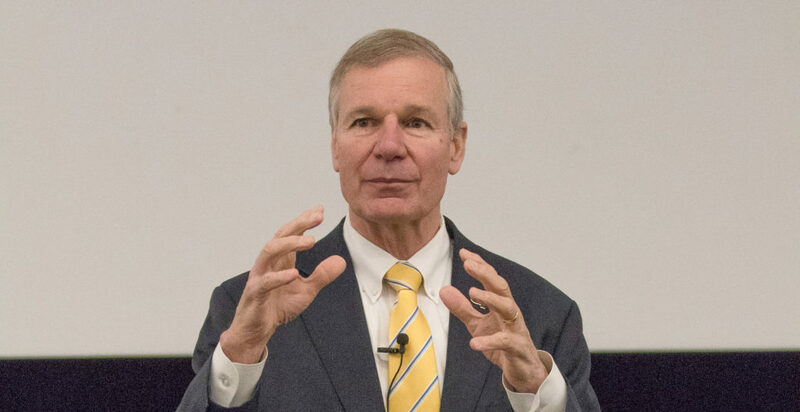 Only when the situation caught the attention of Georgia’s Board of Regents did Peterson find it necessary to terminate Swant’s employment and address the egregious ethics violations. Given Tech’s repeated bungling of cut-and-dry common sense issues, it has become increasingly clear to the student body that the administration cares about its image above all else — student lives and basic ethics included. Without external pressure, nothing changes. Unfortunately, students have grown apathetic towards the administration’s lack of urgency. The few who take it upon themselves to advocate for institutional change only have five years to do so before a new crop of students, one with no opinion about the administration yet, takes their place. With a search for a new president underway and several personnel changes being made throughout the Institute, Tech finally has a chance to leave the spectre of botched ethical decisions and surface-level mental health solutions behind. The next generation of Yellow Jackets deserves better than that.